This is a long overdue post. This was bottled 3 days before The Beer Festival and was available to taste on the night. I, unfortunately abstained from drinking or tasting at the festival so I took it back to Nutgrove as homework. This is the 3rd Bottled Brew from the Porterhouse Brewing Company, Dublin (Subsequently number 4 is now available). At 7%, this is an strong Irish ale. 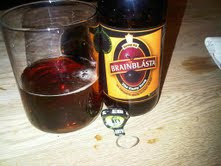 An Brain blásta meaning the ''Tasty drop'' is a pretty accurate name for this massively flavoured savoury beer. The colour is a deep amber, red with a slightly brown hue. 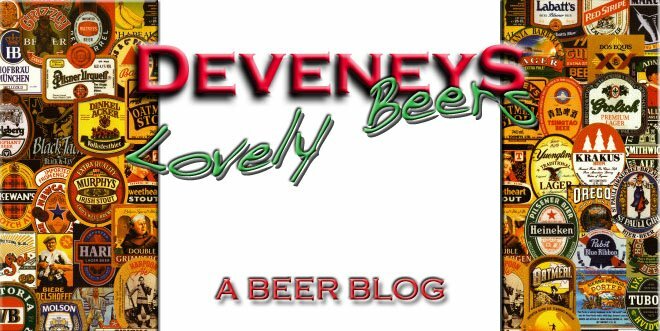 The nose is pretty complex, really savoury malt and rye notes with hints of caramel, biscuit and fruit - I think cherry, not to sound too pedantic. The Palate is, as the name goes, really tasty. This is definitely a beer for food, savoury almost meaty mouth, toast, ryvita crackers with some subtle summer fruits on the finish and a slightly burnt caramel flavour. If I'm being honest, this is way too much for me. There was no flavour that I really disliked and a bottle I could handle with some smoked cheese or cured meat but after a long days work I don't think I'd be reaching for this as my ''sleeper''. Good job by the Porterhouse Boys but maybe too much of a mans ale for me!!!!!!! !